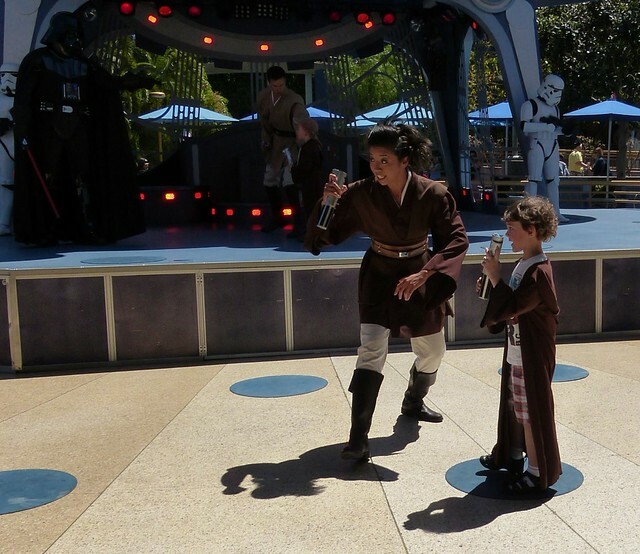 Last week Zacharie went to Disneyland with his grandparents, and my mom says that they could have gone to the Jedi Training Academy stage in Tomorrowland, watched the show, turned around and went home and he would have been thrilled. 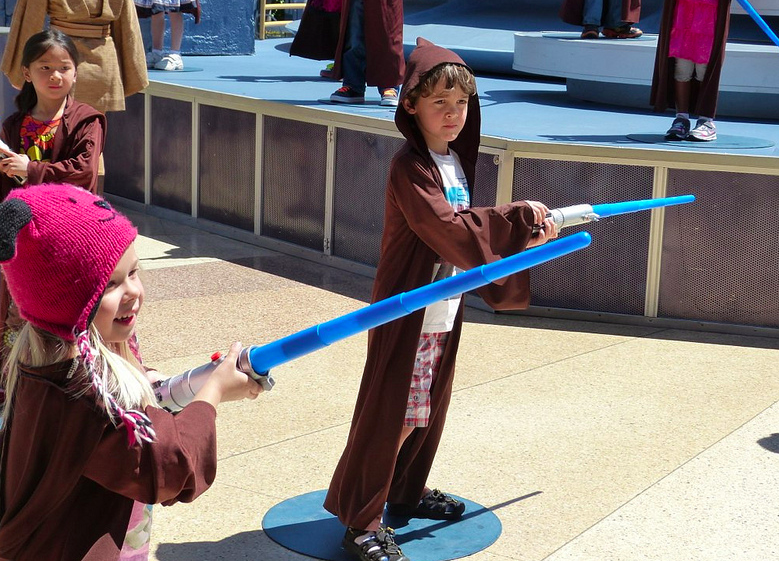 Now that Disney owns the Star Wars franchise, The Jedi Academy is one of the first ways the experience has been brought to the park. 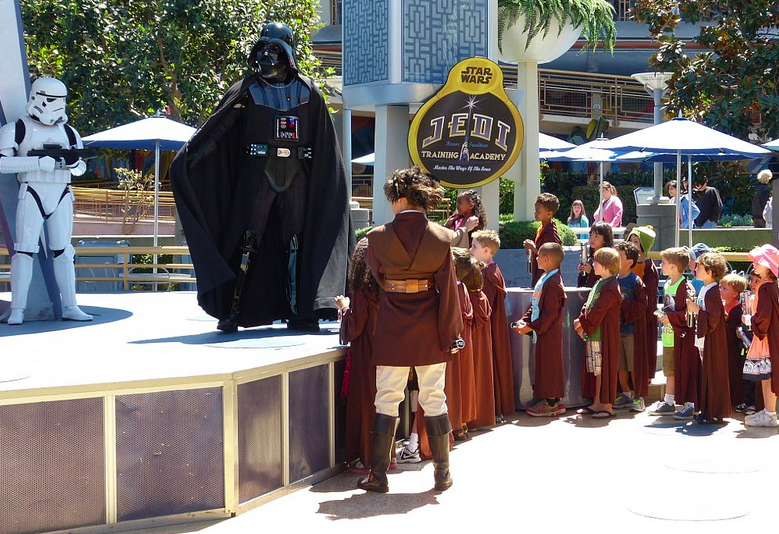 At scheduled show times, 25 kids are invited on stage to be trained as Jedi masters. 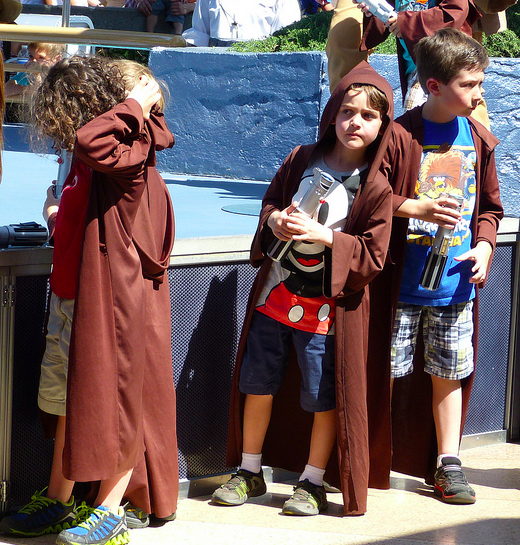 The kids put on brown robes that makes them look more like Jawas than Ben Kenobi, and they are handed a light sabre before being walked through a routine by the Jedi Master. 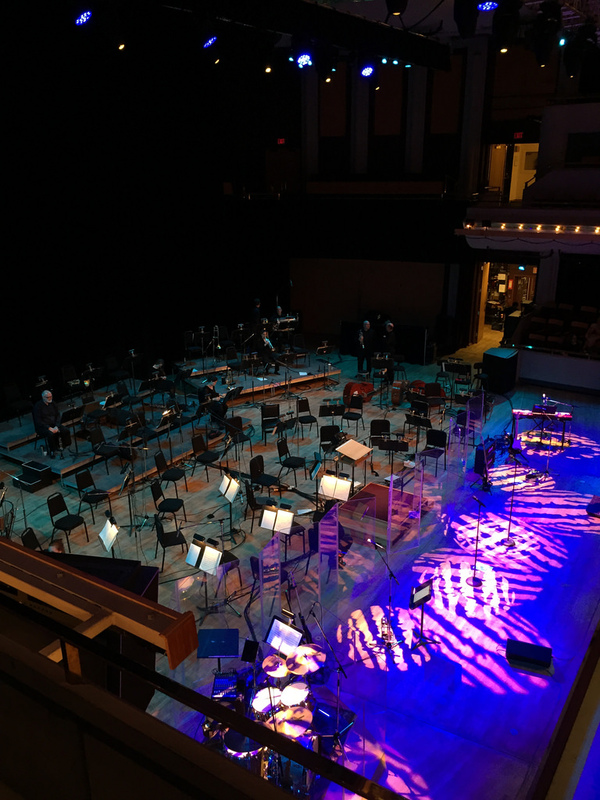 Then Darth Vader pops from the stage and challenges the new trainees to show they have mastered the Jedi moves before tempting them to come to the Dark Side. 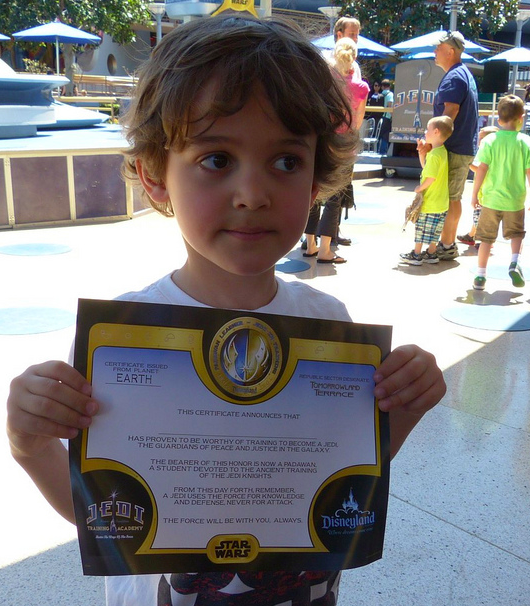 Of course the kids refuse, they are handed certificates proving they are now Jedis, and they bound off through the rest of the park to chase an autograph from Mickey Mouse. 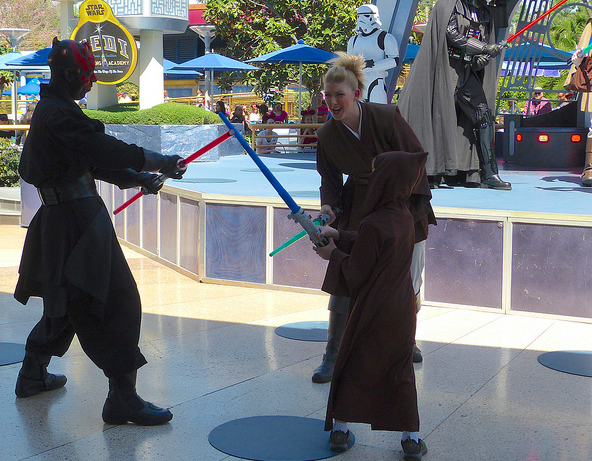 Zacharie dragged my parents to the Jedi Training Academy stage three times during his visit to Disneyland. He wasn’t picked the first time, but made it to the stage on his second chance. 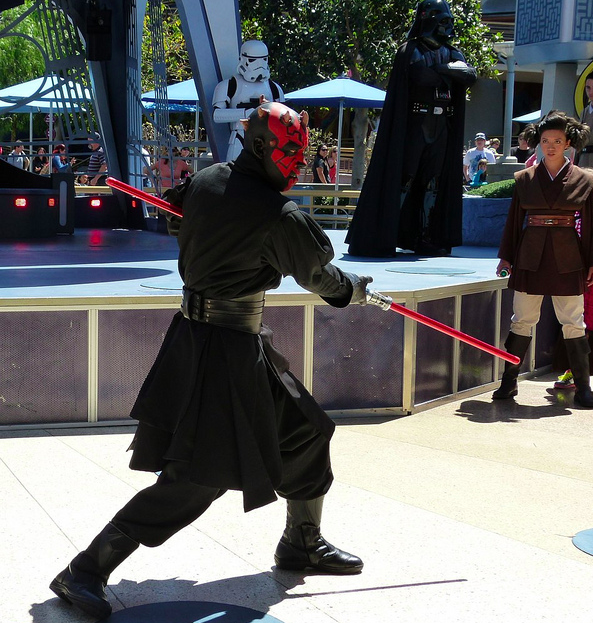 Then, when the final hours of their visit to Disneyland had arrived and Nana asked him what thing he would like to see before going home, he insisted on going to the Jedi Academy stage again. 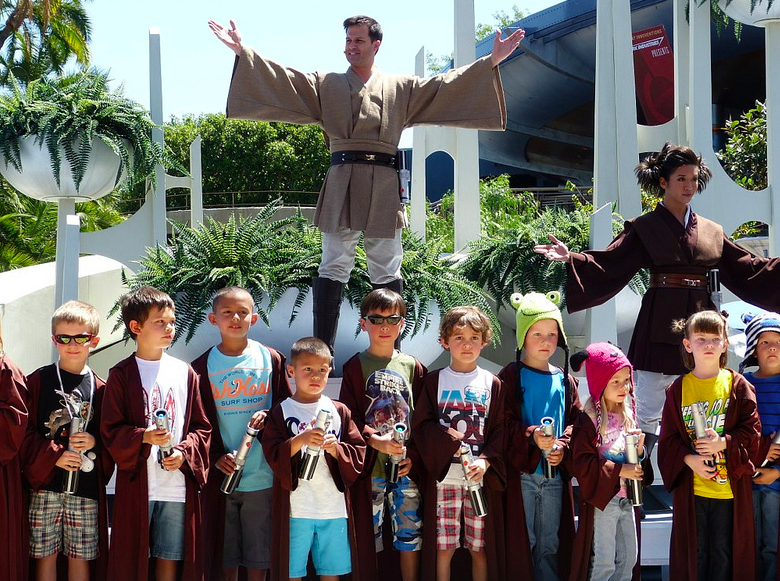 Hence his insistence that he is now a DOUBLE JEDI! 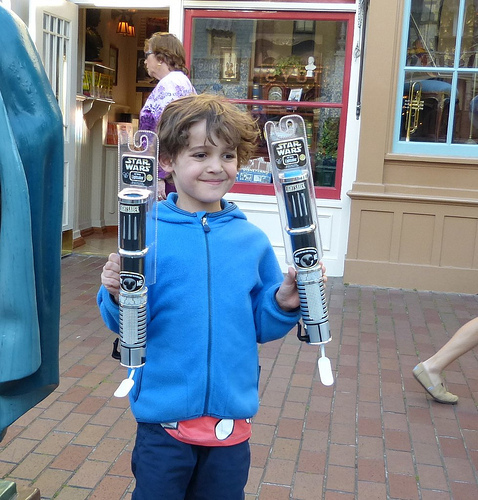 We gave Zacharie a few dollars to buy himself a treat when he was in Disneyland and he insisted on buying a Light Sabre, not just for himself, but for his brother as well. 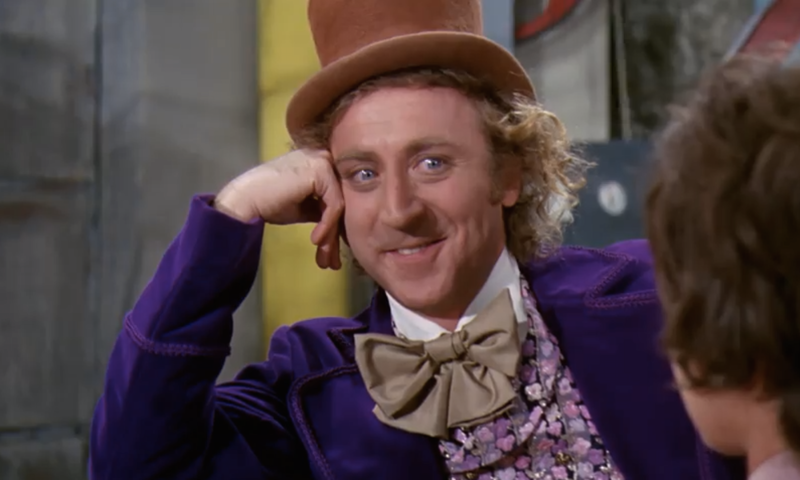 The rule in our home is you can’t go to Disneyland until you’re about 6, so Charlie has 3 years to wait before his visit. 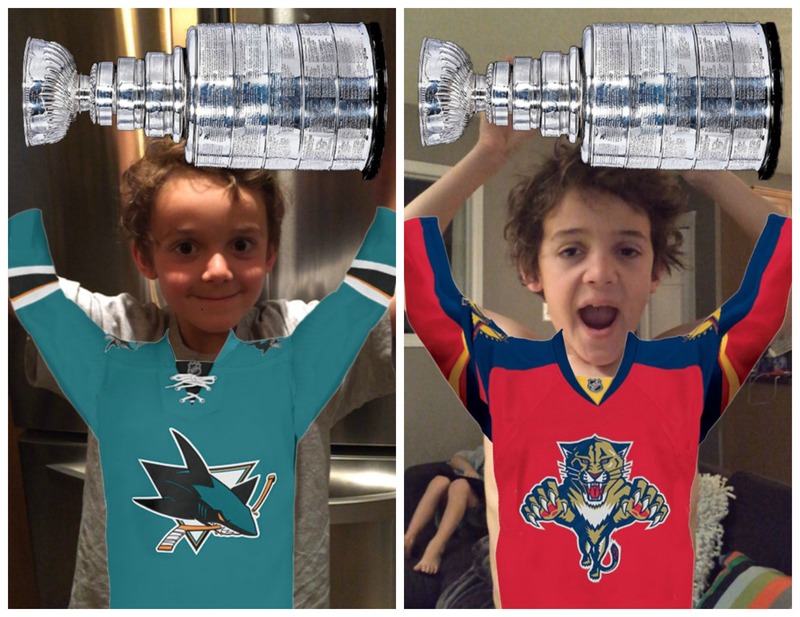 3 years he will likely spend getting daily lessons from our DOUBLE JEDI! 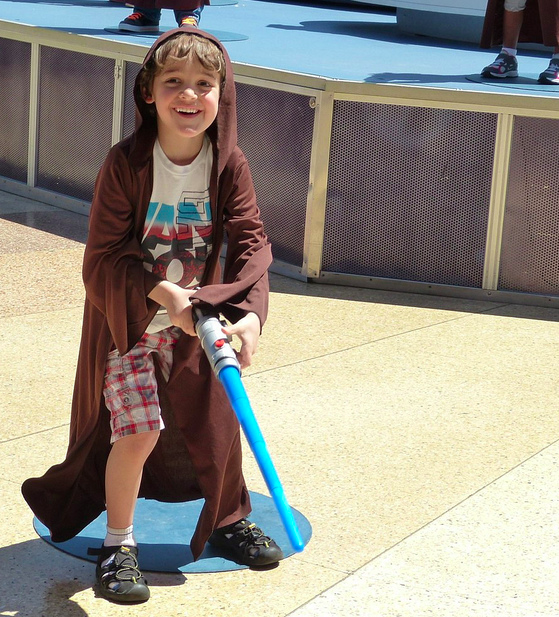 My little guy loved the Star Wars stuff at Disneyworld. In fact we all dug all of Disneyworld, especially the Animal Kingdom.